The jailed leader of the opposition Republican Alternative Movement (ReAl), Ilgar Mammadov intends to participate in the mew election in Agdash election constituency #90. The ReAl leader’s documents have already been presented to and accepted by the Election Commission, ReAl Movement’s executive secretary Natig Jafarli told the Institute for Reporters’ Freedom and Safety (IRFS). The national elections to the Milli Majlis (Parliament) were held on November 01, 2015, but the Central Election Commission annulled the results in Agdash election constituency #90. Journalist Tofig Yagublu and ReAl Movement chairman Ilgar Mammadov were arrested on February 4, 2013, in the wake of the protests that swept Azerbaijan’s north-western city Ismayilli on January 23, 2013 and resulted in the arson of the “Chirag” Hotel and 4 cars in the city. The protests broke out after a Chirag Hotel employee, Baku resident Emil Shamsaddinov, caused a road accident due to drunk driving, after which he and his passenger, Baku resident Elmaddin Mammadov, physically assaulted Ismayilli resident Ramil Bakirov. They also insulted the local residents before in front of the crowd that had gathered in the area of incident. More than 15 protest participants, as well as Emil Shamsaddinov and Elmaddin Mammadov, were later arrested. Tofig Yagublu and Ilgar Mammadov travelled to Ismayilli a day after the protests, on January 24, in their respective capacities as a political figure and a journalist, to obtain firsthand information from locals about the events. According to Natig Jafarli, he has been to Agdash constituency election commission and picked up Ilgar Mammadov’s signature sheets. So far six persons have expressed their intention to participate in the repeat election to be held in Agdash election constituency #90. In addition to Ilgar Mammadov, Umid (Hope) Party chairman Igbal Agazade has also declared that he plans to run for the seat. In last November’s Parliamentary Elections, Agazade lost to Araz Alizade, the chairman of the Social Democrat Party. The other candidates from the constituency #90 reportedly include a member of the ruling Yeni Azerbaijan Party and a number of independents. 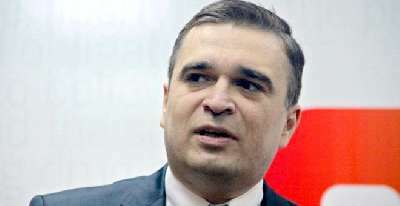 Although the Constituency Election Commission has given signature sheets for participation in the election, REAL chairman Ilgar Mammadov’s candidacy will not be registered, because according to Article 13.3.1 of the Election Code, persons serving their sentence in institutions of confinement by a court decision, which has entered into force, shall not have passive suffrage rights, i.e. they shall not have a right to be elected as a deputy to the Milli Majlis, as President or as member of a municipality. There is a court verdict against Ilgar Mammadov, which entered into force on April 29 2016, and he is serving his sentence in prison.